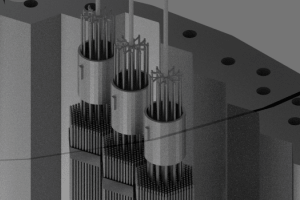 The thermal utilization factor gives the fraction of the thermal neutrons that are absorbed in the nuclear fuel, in all isotopes of the nuclear fuel. But the nuclear fuel is isotopically rich material even in this case, in which we consider only the fissionable nuclei of in the fuel. 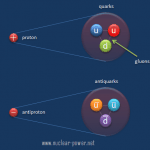 In the fresh uranium fuel, there are only three fissionable isotopes that have to be included in the calculations – 235U, 238U, 234U. 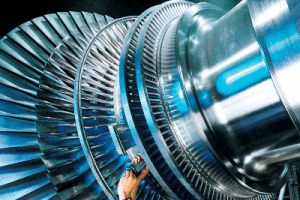 In the power reactors, the fuel significantly changes its isotopical content as the fuel burnup increases. The isotope of 236U and also trace amounts of 232U appears. The major consequence of increasing fuel burnup is that the content of the plutonium increases (especially 239Pu, 240Pu and 241Pu). All these isotopes have to be included in the calculations of the reproduction factor. Another fact is that not all the absorption reactions that occur in the fuel results in fission. If we consider the thermal neutron and the nucleus of 235U, then about 15% of all absorption reactions result in radiative capture of neutron. About 85% of all absorption reactions result in fission. Each of fissionable nuclei have different fission probability and these probabilities are determined by microscopic cross-sections. of thermal neutrons absorbed in the fuel. The reproduction factor is shown below. 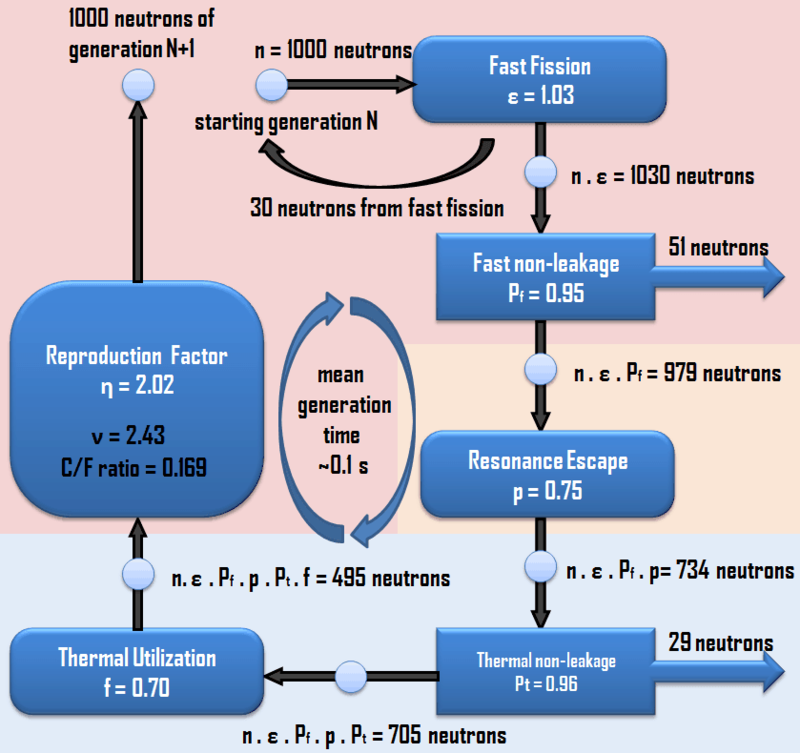 The capture-to-fission ratio may be used as an indicator of “quality” of fissile isotopes. 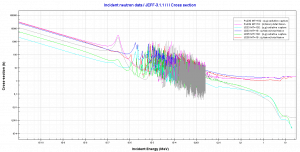 The ratio depends strongly on the incident neutron energy. where e is the atomic degree of enrichment e = N5/(N5+N8). The reproduction factor is determined by the composition of the nuclear fuel and strongly depends on the neutron flux spectrum in the core. 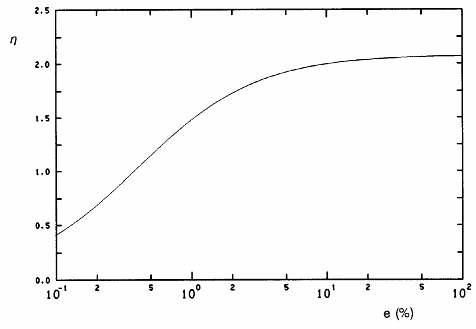 For natural uranium in the thermal reactor η = 1.34. As a result of the ratios of the microscopic cross sections, η increases strongly in the region of low enrichment fuels. This dependency is shown on the picture. It can be seen there is the limit value about η = 2.08. 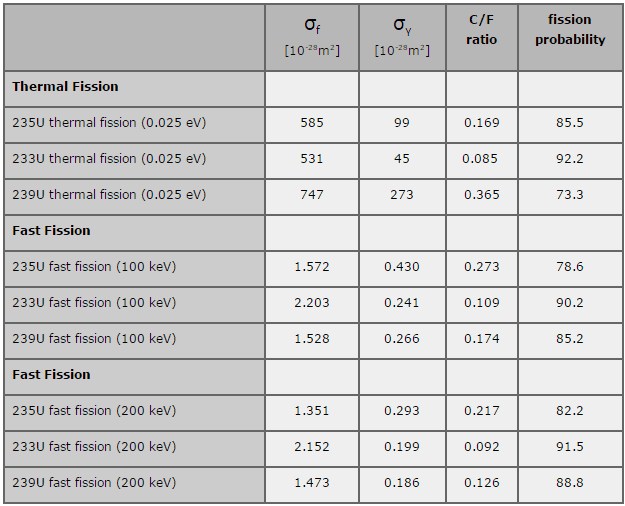 Table of key prompt and delayed neutrons characteristics. 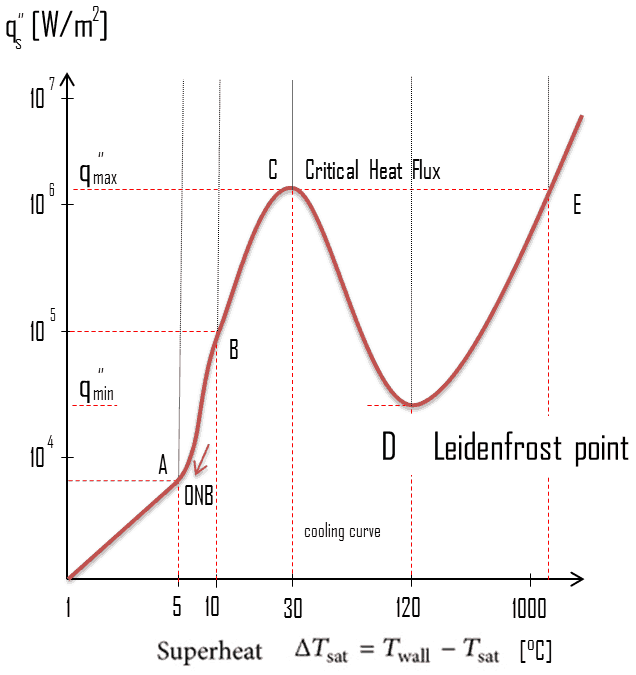 The numerical value of η does not change with core temperature over the range considered for most thermal reactors. 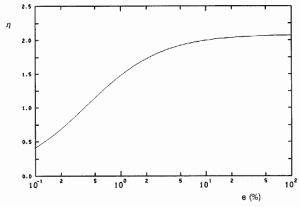 There is essentially small change in η over the lifetime of the reactor core (decreases).This is due to the fact there is a continuous decrease in ΣfU, but on the other hand this decrease is partially offset by the increase in ΣfPu. As the fuel burnup increases, the 239Pu begins to contribute to the neutron economy of the core. 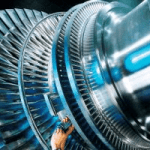 There are significant differences in reproduction factors between fast reactors and thermal reactors. The differences are in both the number of neutrons produced per one fission and, of course, in neutron cross-sections, that exhibit significant energy dependency. 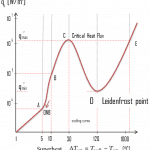 The differences in cross-sections can be characterized by capture-to-fission ratio, which is lower in fast reactors. 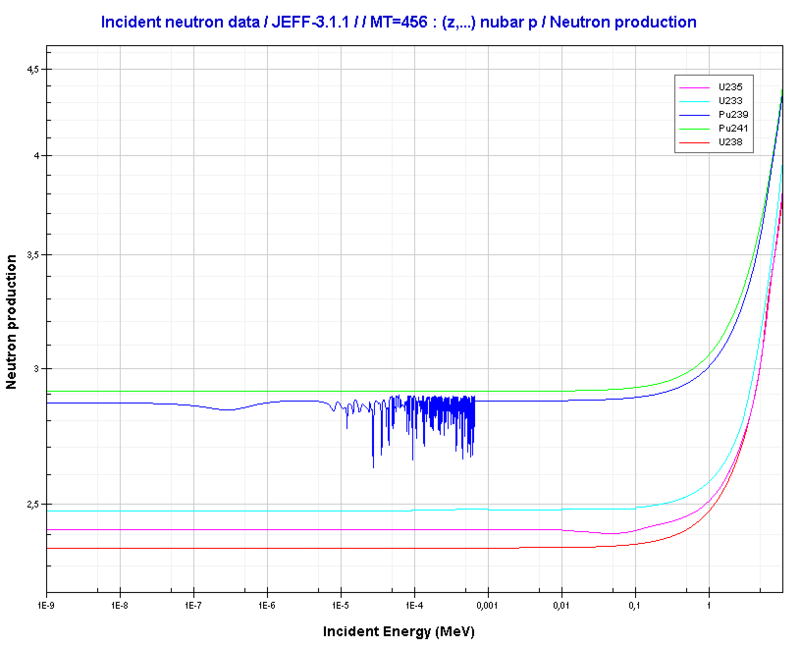 Furthermore, the number of neutrons produced per one fission is also higher in fast reactors than in thermal reactors. 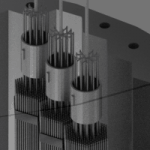 These two features are of importance in the neutron economy and contributes to the fact the fast reactors have a large excess of neutrons in the core.